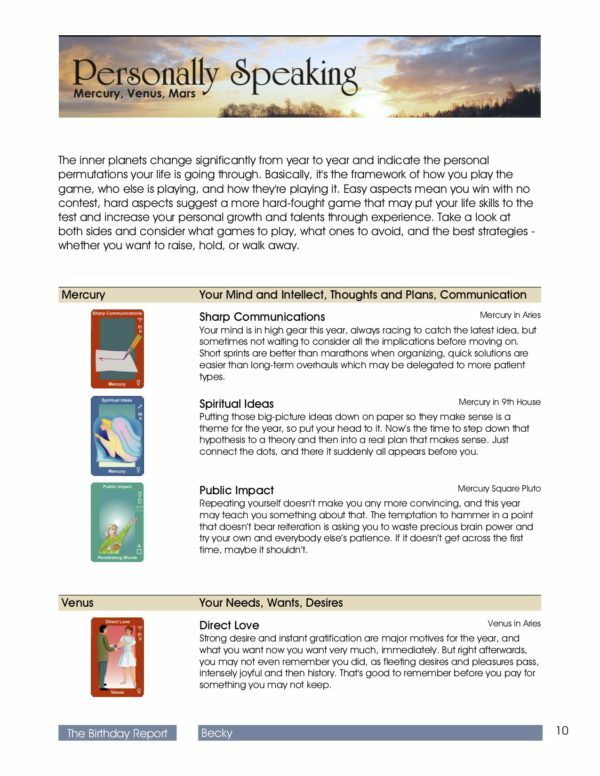 ★ Discover how your yearly solar transits and birth chart will impact your personality, relationships, and emotional issues in the year ahead. ★ Uncover more about your career, love life and future opportunities, be prepared for challenges with practical tips and advice. 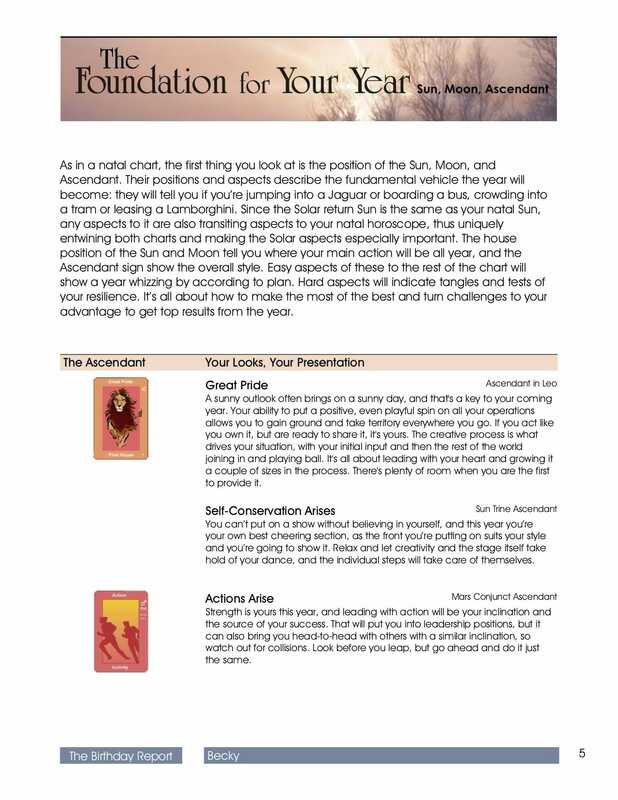 ★ Learn how the planets will influence your coming year, be in the right place at the right time with birthday location analysis. ★ 30+ pages of fully personalized in-depth analysis, birthday forecast & your unique Natal solar return chart. Great overview of essential areas, it gave me a deeper understanding of myself. 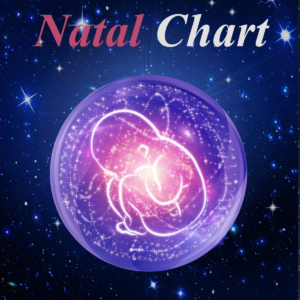 I was skeptical about this but was I was surprised at how long, thorough, and accurate the natal analysis was. Great price for almost 30 pages worth of information. It was well written and easy to understand. Very interesting. I have not read it all yet but I am looking forward in sitting down and reading the rest. 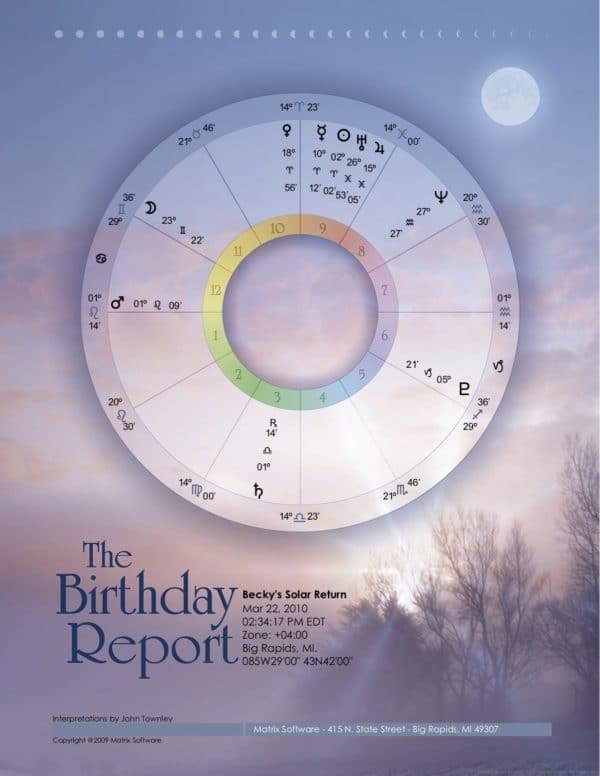 The Astrology Birth chart Analysis, Reading & Natal solar return chart is a snapshot of the sun and planets positions during the time of your birthday. This report analyses the unique positions of the planets during the time of your birthday, allowing a Birth chart to be created. 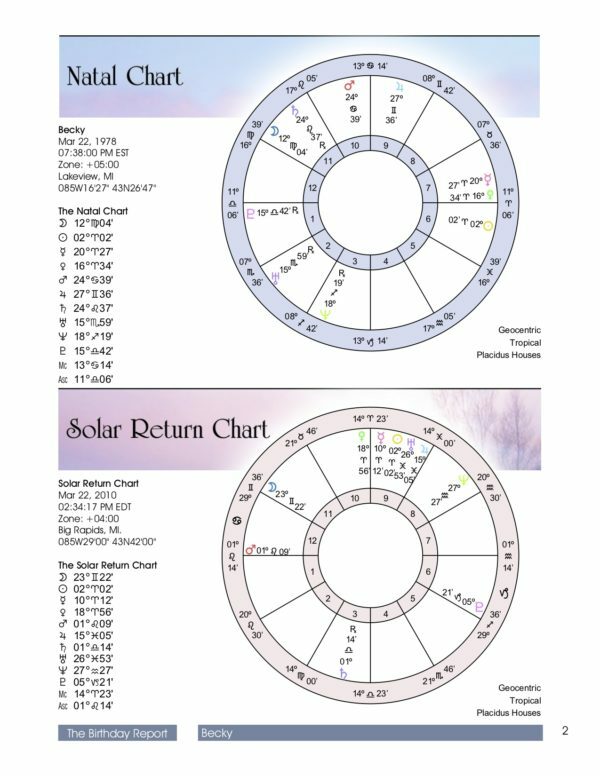 The birth chart analysis & solar return chart then examines your regular transits through the lens of this unique planetary relationship; providing an accurate & powerful forecasting tool, giving far more detail than a traditional horoscope. 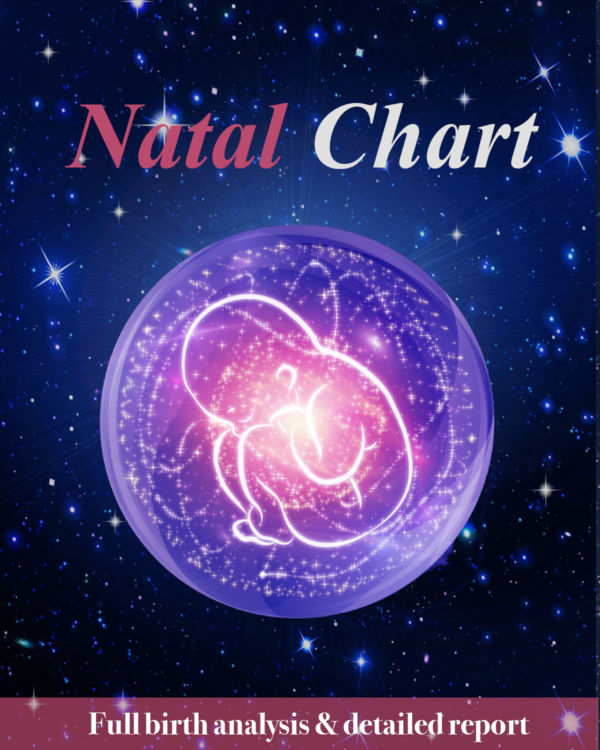 This natal chart report provides insights into personality, career, wealth and love as well as practical tips for upcoming events & opportunities. One of the unique aspects of the Birth chart analysis and Solar Return Chart is the birthday right place analysis. This examines where you spend your birthday and the resulting changes it has on the coming year. 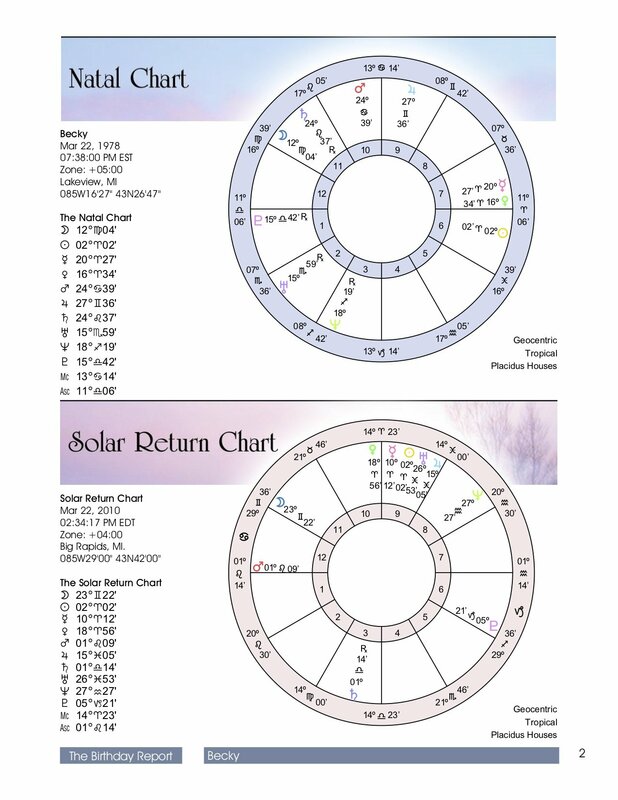 By traveling just two time zones away from where you normally reside, you can change the house position of every planet in the chart and thus your entire physical agenda for the year. Additionally, this extensive report identifies birthday locations favorable with wealth, partners, career and more. Invest in your reading today and take control of tomorrow. Is the Birth chart Analysis a numerology or astrology report? The reading is based on Astrologic calculations. In contrast, the numerology chart uses significant life numbers in things such as name, date of birth, etc, to make calculations revealing aspects of personality, relationships and factors influencing your life. Astrology focuses on the relationship and alignment of the planets and our place within the houses of the zodiac. Unlike the numerology chart, the Astrology Birth Chart & the Zodiac Compatibility Chart use calculations based on the position of the celestial bodies to make calculations examining different aspects of your life, personality, and relationships.